The band followed dozens of other parade participants, including regional fire trucks, political figures and candidates, Corvettes and a number of local organizations. Check the Bulletin Facebook page Wednesday for photos of the parade and fireworks. 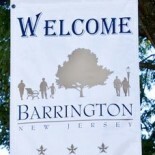 This entry was posted on July 3, 2012 by Barrington Bulletin in Events and tagged band, parade, video.